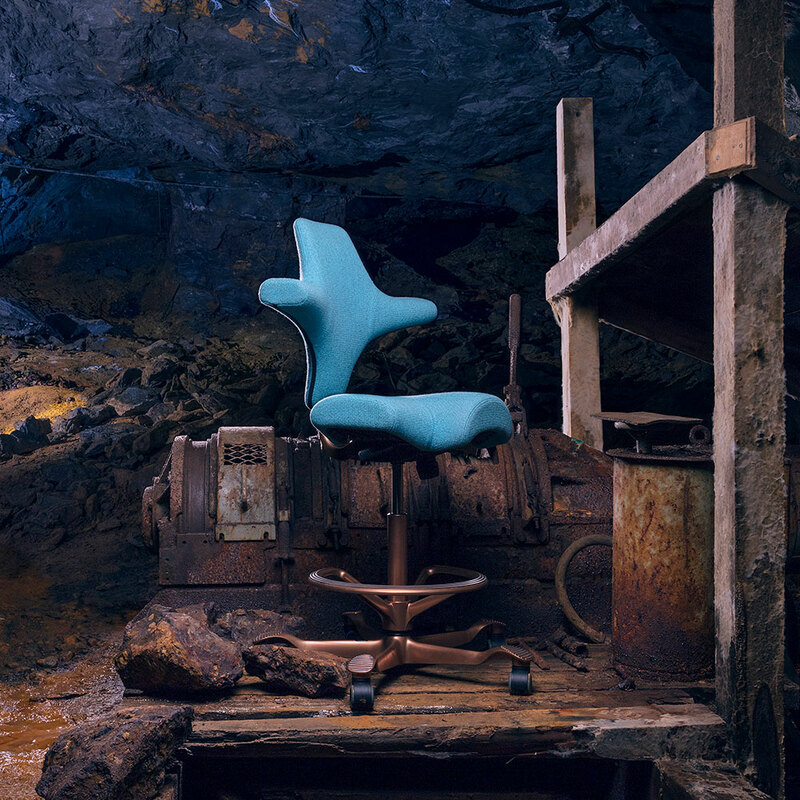 Since the late 1950s, all HÅG chairs have been produced in the historic town of Røros, Norway. Røros is renowned for craftmanship and its stunning natural scenery. Towards the end of the once flourishing copper mining industry here, the arrival of HÅG was much cherished. We are still proud to be an integral part of the Røros community. In celebration of HÅG’s 75th anniversary, we decided to make a limited edition HÅG Capisco. A special version with copper coated aluminium, in honour of Røros, our heritage and dedicated team. For this limited edition run, a selection of high quality fabrics have been chosen from selected partners to perfectly compliment the warming sophisticated glow of the brushed copper. 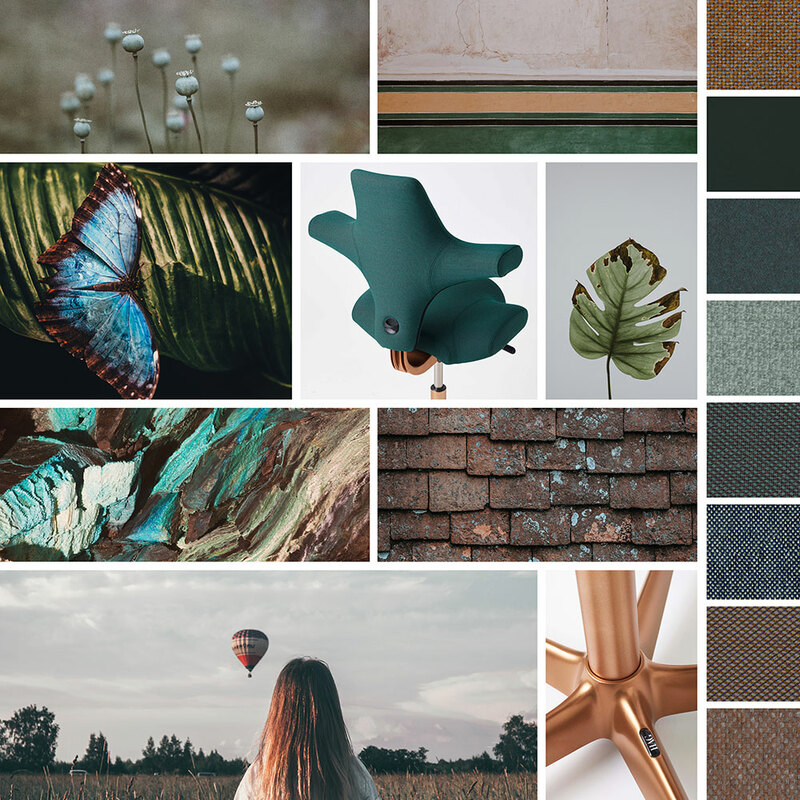 Equally inspired by the mining heritage, as well as the surrounding natural beauty of Roros, shades of green and blue combine effortlessly with the elegant metallic hues, creating a stylish statement perfect for the home or workplace. Few furniture designs withstand the test of time as well as the HÅG Capisco. With elegant curves and smooth performance, the distinct shape stands out from other chairs, adding personality to any environment. HÅG Capisco’s timelessness has elevated it from being a favourite in Scandinavian design, to a world renowned design object. 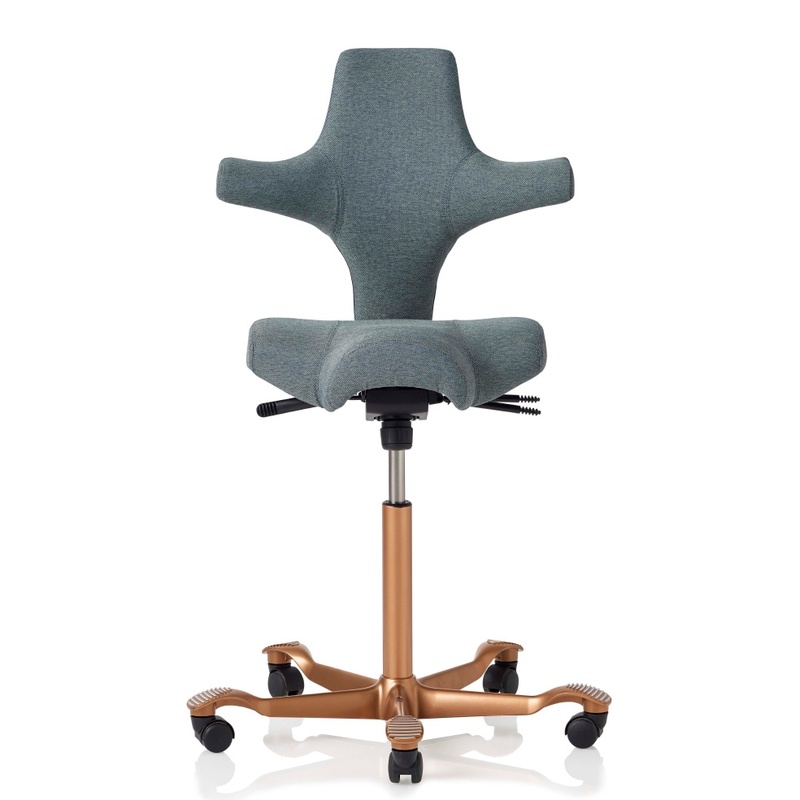 When Peter Opsvik designed the HÅG Capisco, he was attempting to overcome stereo-typical sitting habits with unconventional seating solutions. Inspired by a horseback rider’s posture, the pioneering saddle seat and overall unique shape offers endless ways to sit or half stand. Front ways, back ways or sideways, whatever feels most comfortable next.